Another week, another step forward towards recovery from Michael. Our passage through Stumphole is markedly improved, and a few more businesses have reopened in town. Our sales and contracts markedly improved this week as well, exactly doubling what we did last week by closing two sales and writing up four new contracts. Sellers added eleven new listings, and changed prices on five others. 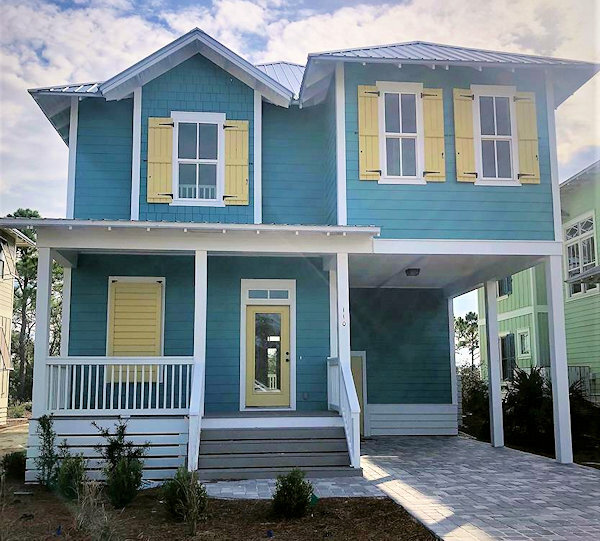 Our inventory inched up by just one, closing the week at 235, with 67 homes and 168 lots listed for sale in the Cape San Blas, Indian Pass and C-30 Corridor MLS market. 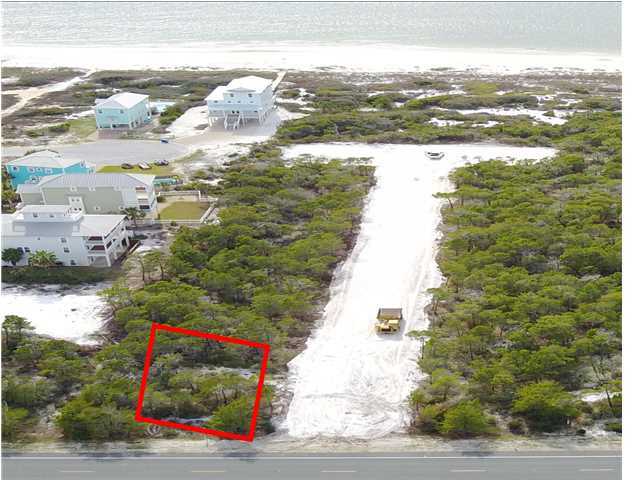 The first of our two sales is a 75′ by 112′, 0.19-acre fourth tier gulf view lot on the Cape peninsula in The Preserve at the Cape. The Preserve is located south of Rish Park and just north of Seagrass. This was a direct sale from the developer so no sales history on it. It came on the market December 13 with a list price of $139,000, went under contract on Jan. 2, and closed last Friday for $100,000 cash. Our second sale is a 4-bedroom, 3-bath 2,475 square foot home on a 50′ wide gulf front lot on Clifton Place near Scallop Cove, originally listed for $998,000, but that price was dropped to $599,000 on January 4 after a previous contract had failed, and went back under contract again just five days later. According to the MLS notes, the house sustained “some wind and water damage, drywall being removed, treated for mold and will be ready to repair! Roof, pilings no damage“. The photo above is pre-storm. The sellers bought the house in 2010 as a bank-owned sale for $410,000 and signed it over to the new owners last Friday for $540,000 cash. Now on to our four new contracts starting off with this 4-bedroom, 3-bath, 1,871 square foot first tier home on Sugar Loaf Lane just a little south of Scallop Cove. The sellers bought the lot on which it’s located for $110,000 in the summer of 2012 and completed construction on the home just three years later in 2015. They listed the house for sale last August for $689,000 and accepted an offer on it last Thursday. Down on the south side of the Cape in Jubilation, buyers had their offer accepted on this 4-bedroom, 3 1/2-bath, 2,490 square foot home listed for $599,900. Construction was completed just last year on a lot for which the sellers paid $56,800 in mid-2017. 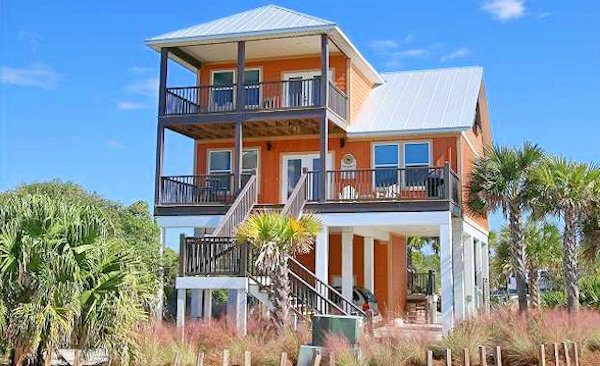 Next door to Jubilation is San Blas Plantation which is home to our third new contract, an 85′ by 722′, 1.22-acre gulf front lot listed for a steal at $289,000. That’s a far cry from the $84,000 the seller paid for it way back in 1988. According to my handy dandy inflation calculator, in today’s inflation-adjusted dollars that’s equivalent to $186,791.34. 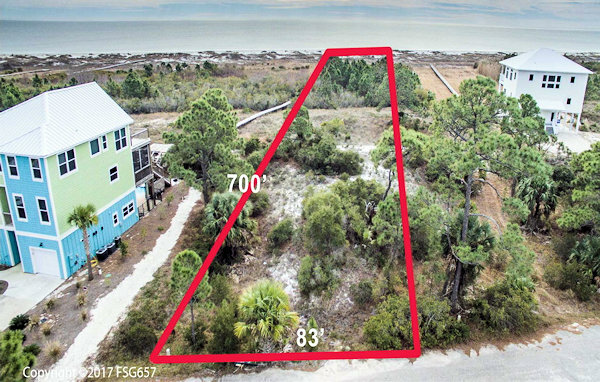 For our fourth and final new contract we’ll head on over to South Palm Street on Indian Pass where buyers fell in love with this 75′ by 105′, 0.18-acre gulf view lot listed for a very attractive $195,000. 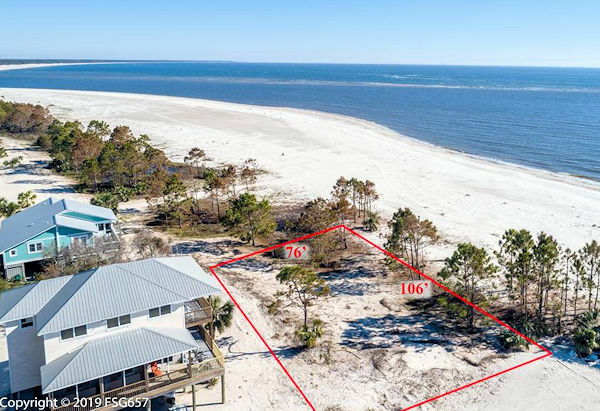 Though there is a recorded, platted lot seaward of it, according to the MLS notes the owner states that lot is unbuildable. This neighborhood, Indian Pass Beach Subdivision, was platted in the early 1950’s and is grandfathered for FEMA flood insurance so the CBRA designation on much of the rest of Indian Pass doesn’t apply here. This lot last sold in 2011 for $150,000; prior to that, it sold in 2004 for a whopping $425,000, roughly $565,000 in those inflation-adjusted $$$. That does it for today. I’m pleased to see continued steady interest in our market, meaning others realize we really are steadily recovering from Michael and getting better every day. If you’re thinking of buying or selling, I’ll be glad to help you, so let’s talk. You can always reach me by calling or texting 850-227-5197 or emailing sherri@sherridodsworth.com. Either way, I hope to hear from you soon, and thank you so much for taking time out of your busy schedule to stop by today.